With over 50 years combined experience in Special Education and the Law, the McMahon Advocacy Group is in a unique position to provide you with the help, guidance and the legal means to ensure that your children receive the education and services they deserve. 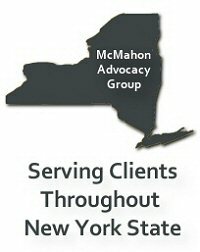 While some advocates are either dedicated and experienced parents of special needs children or Attorneys practicing education law, the McMahon Advocacy Group combines expertise of the two areas most needed to be effective in advocating for your child. Dr. Eugene P. McMahon as a career Special Educational Administrator and Gilbert K. McMahon as an Attorney create the ideal team. We have been involved in the evolution and implementation of the laws and policies that drive the Special Education process for over 30 years. Who better to help you determine the services your child needs and to deal with your School District then professionals who ran some of the most widely acclaimed Special Education programs in the country. Having experienced legal counsel as part of the group ensures that in all aspects of the process, you are never at the mercy of the system. While doing everything we can to foster a cooperative relationship for the benefit of your child and your family, we will ensure that you have every legal option available to you to guarantee the best possible outcome. We are always available to make presentations on all aspects of Special Education, law and advocacy.